Lo Aira's Services is a family-run business that has been serving the Houston and surrounding areas since 2009. 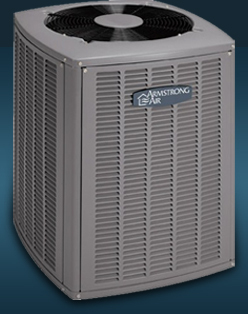 We have been in the Houston HVAC industry for almost two decades. Are you tired of going to the big, chain stores for air conditioning, heating, and related services? Why pay more when you can get the same for less? At Lo Aira's Services, we love the Houston heating and air services we sell. That's why we started our business in the first place. We focus on you--the customer. It's our job to make sure you’re happy and get exactly what you want, nothing more; nothing less. You will always get a Service Technician and not a sales person. Unlike bigger stores, we feel like we're all our neighbors in the community. So, we need to take care of each other. That's why providing excellent service is Job #1 at Lo Aira's Services. Put us to the test, and you’ll find out why our customers keep coming back to us for HVAC, and heating and AC parts in Houston. Do you have any questions about our company or our services? We’re here to help you. Just give us a call at 281-736-2945 within our business hours, or drop us a line at robert.loera@lo-airas.com. We promise to help you... and we promise you will get answers from one of our service technicians, and not from some automated machine. Copyright 2012: LoAira's Services | Houston HVAC | All rights reserved. They are chosen by HVAC professionals across the country!